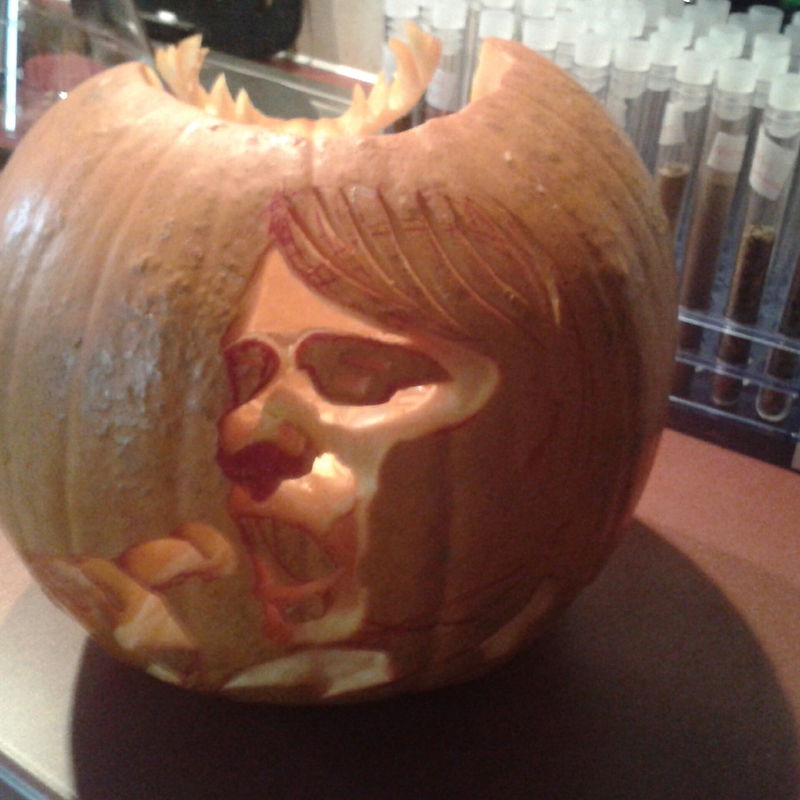 This year I decided to homage one of my recent favourite scary TV shows; NBC’s HANNIBAL! 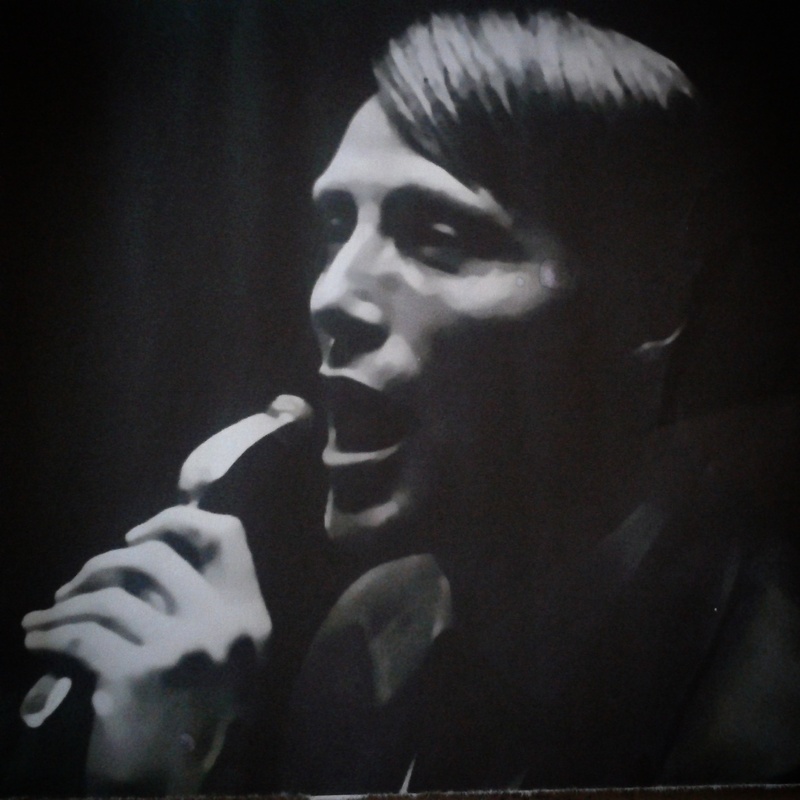 Mads Mikkelsen has done a fabulous job of embodying the charming, yet deeply disturbing, Dr Hannibal Lecter. A character pose! Simplified and greyscaled to enhance the shapes to be cut from the pumpkin. 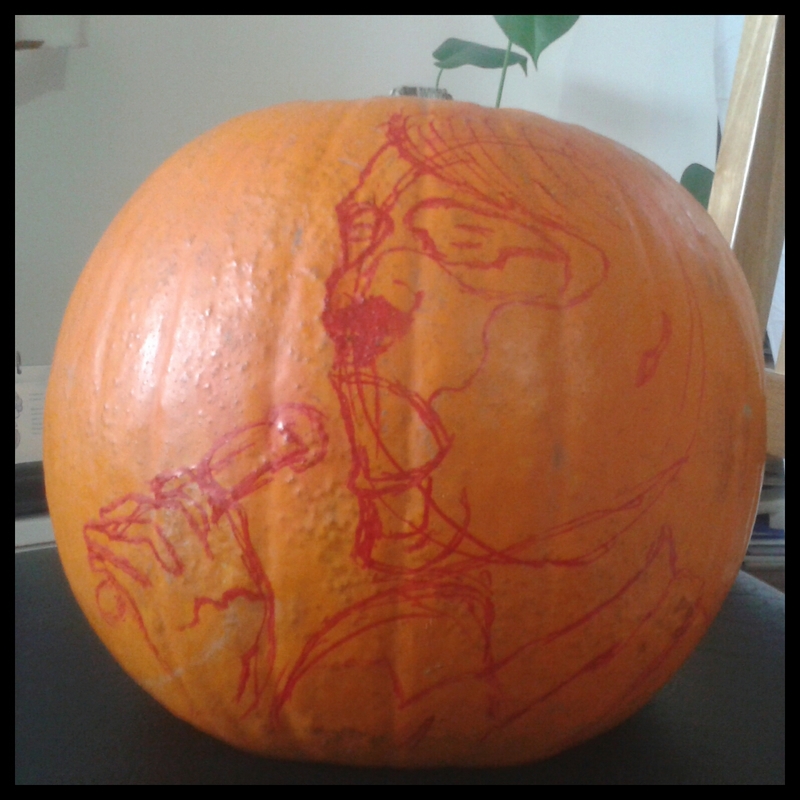 Next, I hand-drew a rough sketch of the image onto the side of the pumpkin using a red Sharpie. I use red, so that any remaining lines are less obvious on the finished article. I hadn’t even cut the top off at this point! So before I could do any more, I had to remove his guts! When putting a detailed image onto a fruit, you have to think about the negative space. Anything that is dark in the image you leave alone, cut partially into the flesh for the mid tones, and all the way through for the highlights. You don’t need any specialist tools! I used a kitchen knife, a Stanley knife, and a flat head screwdriver. That’s it. 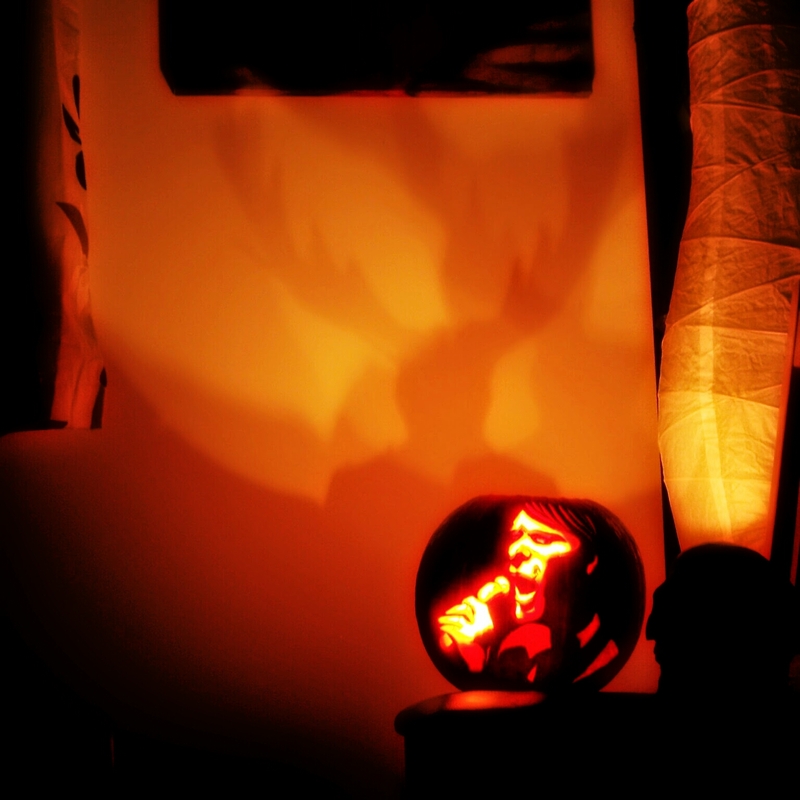 I had previously seen other people cutting shapes out of the back of the pumpkin to project light out onto a back wall. On the NBC show Hannibal, they personify the evil within through the image of the “Dire Ravenstag” and cross the stag with the human Hannibal. So, rather than project a light image, I thought I would see if I could create a silhouette to match the darker imagery from the show. 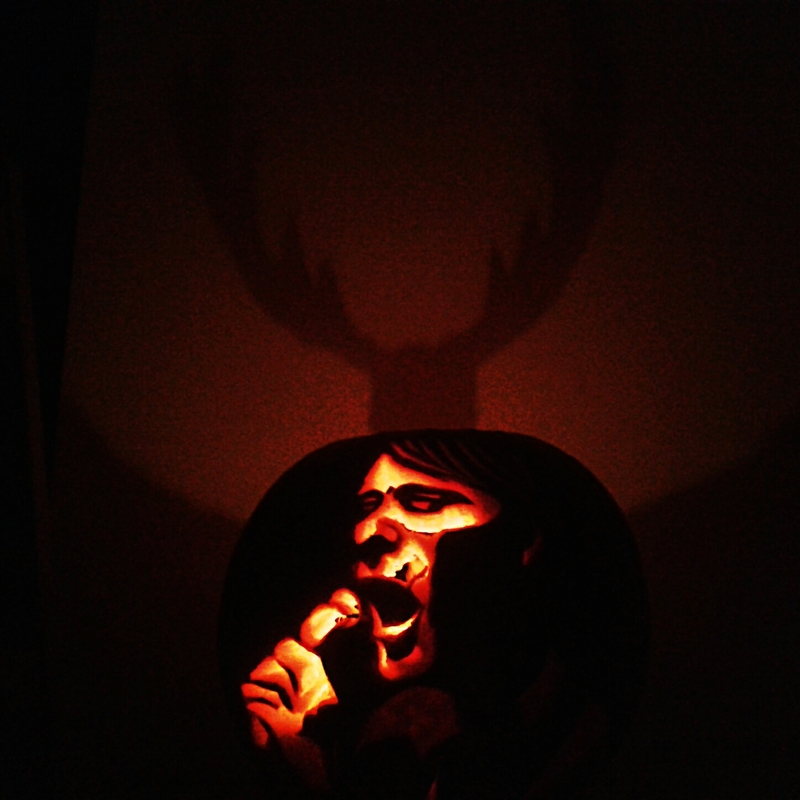 All that was left to do, was break out the candles and test it! 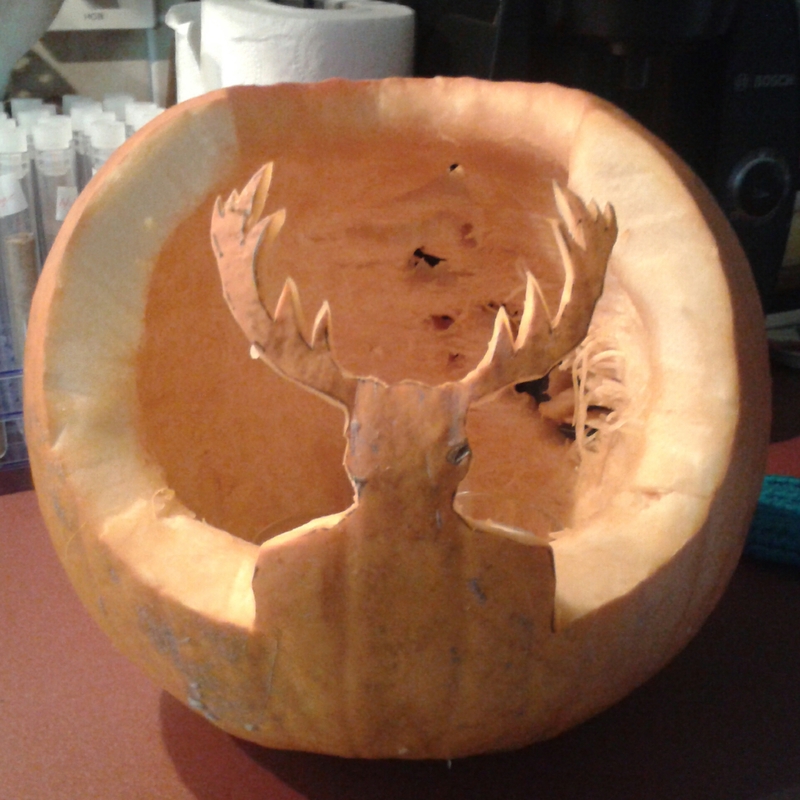 All in all it took me three and a half hours to carve. And boy were my hands painful (yet I managed to avoid stabbing myself, thank goodness!). Now, I get to enjoy it for a few days. 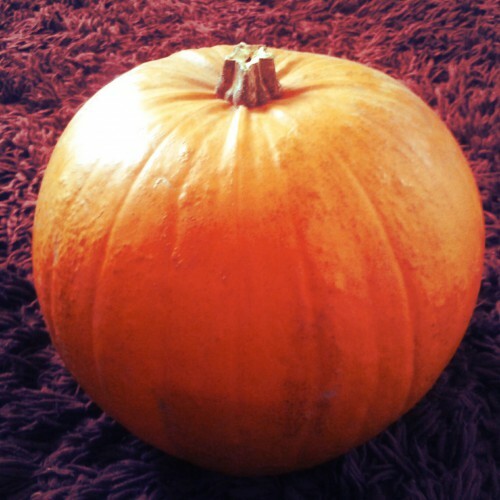 Until the pumpkin goes off! He’s not going to be good for eating. That would just be “rude”!